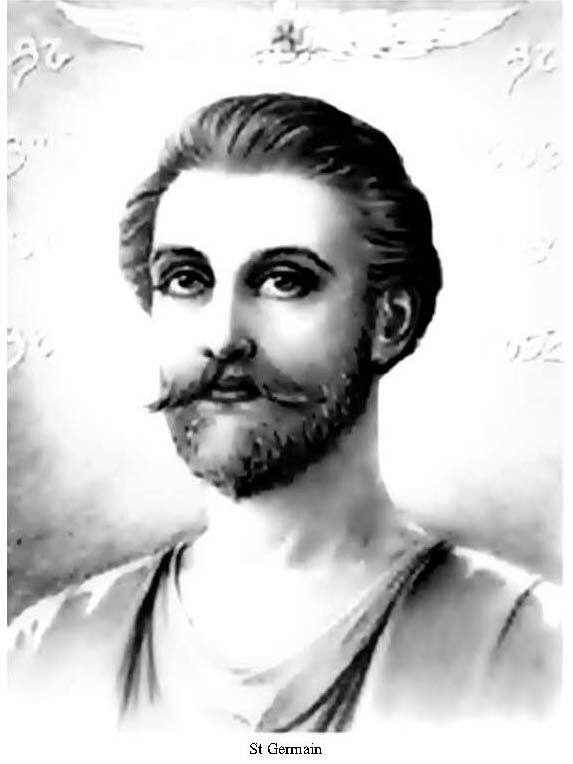 This information comes from the etheric ethers and Unveiled Mysteries regarding Saint Germain and his past. It is not a channeling. It something that resonated so deeply with me that I was driven to share it with all of you. As the king, Saint Germain was a master of ancient wisdom and a cupbearer of the light that ruled by the light and the kingdom was the living example of perfection. People back then remembered their Source within, their Divine presence within. This continued for hundreds of years. This was a Golden Age. We are in the middle of another Golden Age being created as we speak. Gold was a common commodity in that age, as in all Golden Ages, because its natural emanation is a purifying, balancing, and vitalizing energy or force. But, there was a portion of the people who became more interested in the temporary pleasures of the senses than in the larger creative plan of the Great God Self. This caused them to lose consciousness of the God Power throughout the land. Those governing realized they must withdraw and let the people learn through hard experience that all their happiness and good came from the adoration to the God Within and they must come back into the ‘Light’ if they were to be happy. Saint Germain, through the Inner Wisdom, seeing that the people were becoming still more deeply enmeshed in the sense gratification, realized that it was no longer the Divine Plan to further sustain the kingdom. He was instructed by those of greater spiritual authority than himself to give a banquet announcing his decision to withdraw, and thus bid his subjects farewell. The banquet came and this beautiful wondrous presence, a Cosmic Master, came and gave this speech to the people. Within seven days of this speech, Saint Germain and his family were taken to a Golden Etheric City, an empire of light that existed over his land. It was composed of self-luminous, etheric substance and rested above the physical city which was the capital of the physical city. Two thousand years later,most of that empire had become barren land, the streams dried up, and desolation stretched everywhere, all the result of the discord and selfishness of mankind and the blight it becomes upon the growth of plant life in nature. This kingdom had extended the entire width of Africa on the east until it reached the Himalayan Mountains. There followed a great cataclysm, submerging all the land. Through that change, an inland sea was formed where the Sahara Desert now lies. Another earth change, which took place about twelve thousand years ago drained this sea and a part of it later became the present Sahara Desert. The River Nile, as it is today, most nearly resembles the beautiful streams of that long forgotten period. As mentioned, the following speech (in bold below) from a Cosmic master was taken from the etheric records and is not a channeling. When I first read this, is so resonated with me…so much energy was flowing through me, as if to confirm it’s truth in all the cells of my body. I had this feeling that I was there, and that I knew these words very well. Saint Germain is so close to me now and I feel his presence every moment of my life and with all my energy healings as I use the violet flame constantly. This speech is a lesson on love given by the highest of the high cosmic master and talks about connecting with your Divine Presence and your God self to create perfection and love in your life. All is love and when you follow the law of love, and love yourself and every other being on this planet, life will be reflected back to you as a mirror of love! Then you will receive love. And then you will find and see the Divine Presence within you and see the Divine Presence in every soul on this planet. And when you see this, you will see the Oneness of all that is and connect from within allowing yourself to be sustained by the love of God as you no longer look from outside of yourself, but from within for all your needs and desires. I hope you enjoy this speech as much as I have enjoyed it. Here is the Cosmic Master speech. “O Children of Earth, I bring you a warning of serious import, at a time of great crisis. Arouse yourselves from the snare of the senses that is engulfing you! Awake from your lethargy, before it is too late! This, my ‘Brother of Light’ must withdraw and leave you to the experience that you have chosen, and which is slowly enticing you into its many pitfalls. You have opened yourselves to the uncontrolled ignorance and emotions of the outer self. You give little attention and still less adoration to your Source, the Supreme, the Mighty, the Radiant, the Majestic, the Infinite Cause of all that is, the Creator and Sustainer of all worlds. You give no gratitude to the Great Glorious Presence, the Lord of Love, for the very Life by which you exist. Oh why are you not even grateful, for the blessings nature pours out so lavishly, for the abundance that comes to you through this fair land, and from your own wise and unselfish ruler? You thank each other for favors, the things of the senses and form that are so ephemeral, that pass from one to another and then are no more, but why, Oh why, do you forget the Source of all Life, all Love, all Intelligence, all Power? People! 0 People! Where is your gratitude to Life for Love, for the magnificence of experience that you enjoy every moment, every hour, every day, year after year? All this you call your own, but it has always belonged, does now, and always will belong to the One Great Source of Life, Light, Love and All Good, GOD, the Supreme, the Adorable, the All-Pervading One. When by your own misuse of the energy of Life, which this All-Pervading One showers upon you constantly, pure, perfect, and uncontaminated, you have created conditions so destructive and painful that they can no longer be endured. You turn in either desperation, agony, or rebellion and call upon God for relief from your misery. This is your offering to the Giver of all Good, in return for that Ceaseless Perfection which he continually bestows in Supreme Love. The only condition, upon which the One Great Self gives all, is its right use that it may bless the rest of creation with infinite joy, harmony and activity. When in the depths of misery you turn again to your Source, for relief from your misdeeds you either cry in the agony of despair or, if rebellious, blame Life and the Source of All Good for allowing, what you call injustice and wrong conditions to exist in you and your world. It is you, the little personal self who are unjust to Life, you who are unfair, you who create the misery of earth, for only humanity, because it has free will to create as it chooses, each individual through his own thought and feeling, only humanity who dares to bring into existence the discord, misery, and deformity that express upon earth. This is a blight upon Creation and the Perfection that forever swings in the Great Cosmic Melody of Eternal Song. Only mankind is guilty of making a discord in the music of the spheres, for all else lives and acts in accordance with the Law of Love, of Life, of Harmony, and of Light. All else blends into the harmonious whole-the Body of the Infinite, All-Loving One. All other realms of Life and Light move and create according to the fundamental principle upon which all Perfection rests. If it were not for the Great Selfless Ones like your ruler, the Great Host of Ascended Masters, whose very keynote of existence is Love, humanity would long ago have destroyed itself and the very planet upon which it exists. The transcendent and magnificent activities of Love and Light are the Natural Conditions in which God created and expected His human children to manifest, obeying His command to Love. There is no such thing as a supernatural condition anywhere in the universe. All that is Transcendent, Beautiful and Perfect is Natural and according to the Law of Love. Anything other than that is sub natural. 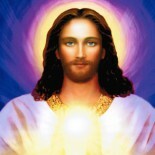 The daily experience of the Host of Ascended Masters is the Perfection, God’s children were meant to live in always. Earth’s children did express this Perfection once in a former cycle, which was One Golden Age. That former civilization, that Ancient Perfection is older than you dream, older than you believe the planet to be. All mankind at that period lived in a similar transcendent state, as the Ascended Masters, and the condition of misery, that has followed since that time down through the ages, came about because they chose to look away from their Source Love as the plan by which to live Life. When the children of earth look away from Love, they are deliberately and consciously choosing the experience of chaos. Whoever seeks to exist without Love, cannot survive long anywhere in creation. Such efforts are bound to bring failure, misery, and dissolution. By its very condition, it must return to chaos, the unformed, so it may be used over again in combination with Love, and thus produce a new form. This is the Law of Universal as well as individual Life. It is Immutable, Irrevocable, Eternal, yet Beneficent, for creation in form exists that God may have something upon which to pour out Love and so express in action. This is the Law of the Mighty One from which all else proceeds. It is the Mandate of Eternity and the Vastness and Brilliance of that Perfection cannot be described in words. If there were not these Actual, Real, Permanent and Perfect conditions of Life and experience, which far transcend human description, existence would be but a travesty upon the stupendous activity of Life, that swings forever throughout creation. There are those higher, harmonious, Transcendent Spheres, realms of activity and consciousness, individual and cosmic-where creation goes on continually in Joy, in Love, in Freedom, and in Perfection. These are Real, Real, Real and much more permanent than your bodies and buildings in the physical world about you. These Realms of Life are created of Substance which is so charged with Love, that they can never have a quality or activity of discord, imperfection, or disintegration imposed upon them or registered within them. Because they are based upon Love, the Perfection of such a manifestation is forever maintained, ever active, ever expanding, ever blessing with the joy of all that exists. You bring woe upon yourselves which propels you into embodiment again and again in the ignorance of the senses, the human appetites, and desires of the outer self. These appetites in the feeling nature of mankind are in themselves but an accumulation of energy which the individual through his thought and feeling has given a quality of one kind or another. This misqualified energy, gathers a momentum through human expression and becomes habit. Habit is but energy specifically qualified and held focused for a time upon one objective. 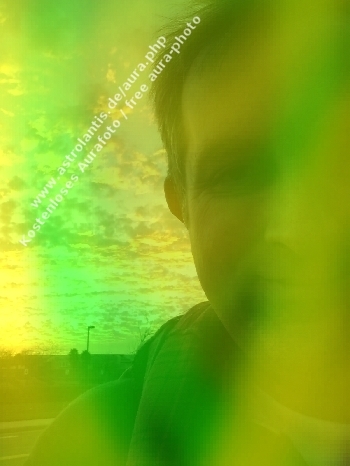 The sense appetites of former lives become the driving forces and habits of the next, keeping you slaves, bound to the chariot wheels of discord, lack, and necessity, whirling you through a maze of human problems and experiences of your own creation-compelling you to learn and obey the Law of the One – Love. Your own miscreations drive you on, and on, and on, until you are willing to understand Life and obey Its-One Law-Love. You whirl through Life after Life, experiencing discord upon discord, until you do learn to live the Law of Love. This is a compelling activity which none escape and it continues until the outer self asks the reason for its misery, and understands that its release from the experience of suffering can only come through obedience to the Law of Love. Such obedience begins as calm, peace, and kindliness in the feelings whose center is in the heart. Its contact with the outer world must come through the Inner Feeling. Love is not an activity of the mind, but is the Pure and Luminous Essence which creates mind. This Essence from the Great God Flame streams into substance, and constantly pours itself out, as Perfection in form and action. It can only express peace, joy, and an outpouring of those feelings to all creation unconditionally. Love owns All and is only concerned with setting the Plan of Perfection into action in all. Thus, it is a constant pouring out of itself. It takes no cognizance of what has been given in the past, but receives its joy and maintains its balance by the continual Out streaming of Itself. Because this Perfection is within Love forever flowing forth it is incapable of recording anything but Itself. Love alone is the basis of harmony and the right use of all Life energy. In human experience, this grows into a desire to give, and give, and give of all the individual’s peace and harmony unto the rest of creation. People! 0 People! forever throughout the ages! only enough Love can bring you back to the Heaven you once knew and abided in. Here, you will once again embrace the fullness of the Great Light that gives all through Love. A visiting prince approaches your borders. He will enter this city,seeking the daughter of your king. You will come under the rule of this prince but the recognition of your mistake will be futile. Nothing can avail, for the royal family will be drawn into the protection and care of those whose power and authority are of God and against whom no human desire can ever prevail. 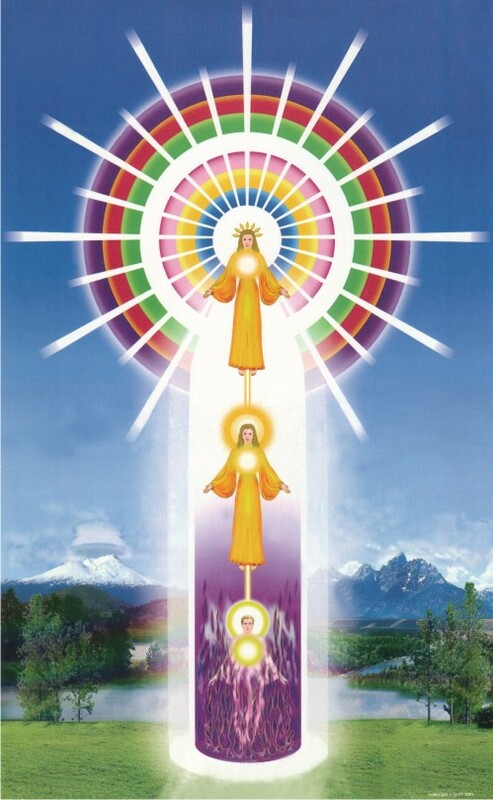 These are the Great Ascended Masters of Light from the Golden Etheric City over this land. Thank You Andy, this is a remarkable moment for us to witness. Message received and understood. Nice speech. I’ve reached the stage where I no longer feel I belong to one country or one ‘people’. And I do feel love for the people I meet and interact with. But HOW have you / do you manage to love those people who perpetrate such horrible cruelties on animals and even other humans-specially children? I have never received a satisfactory answer or an answer from someone who’s managed to do that – have you? Great post .. so close to my heart . . I ended up in tears reading it ! Gr8 info : Part 1 Dawn of the Golden Age – Discuses how Saint Germain helped bring about the beginnings of a enlightened era which soon fell into darkness under the helms of the Illuminati and a corrupted masonic order. 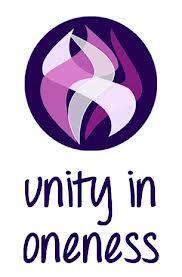 I live in Brandon, Manitoba, Canada requesting to be added to the Love Bomb meditation list! Wow!!!! What a powerful post Andy! Huge love to you…. Dear Andy, Thank you for sharing this with us ..it is so very powerful and has touched my heart deeply. This entry was posted on January 29, 2014 by Andrew Bojarski in Andrew's Posts and tagged Arch Angels, Ascended Masters, Ascension, Awakening, Chakras, Channeling, Energy, Energy Healing, Healing, Higher Self, Love, Meditation, Spirituality.